The deal: The restaurant's new “Neighborhood Nosh” menu offers three courses for $35, Monday through Thursday from 5:30-6:30 p.m. 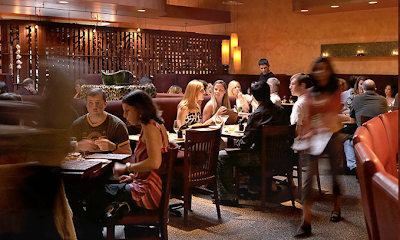 The deets: Choose any appetizer, entrée and dessert from chef Barry Koslow’s menu, including choices like ahi tuna tartare with snow peas, sesame crackers and red pepper coulis, and slow-cooked lamb shank with white beans, kale and chorizo. I enjoyed this deal last week! and while our reservation was for 6:30 p.m., we were a bit late getting there and settled, and they honored the deal for my party of four when we ordered sometime after 7 p.m. Delicious! How nice of them to be flexible! Glad you enjoyed it.